This is a string with Santa. 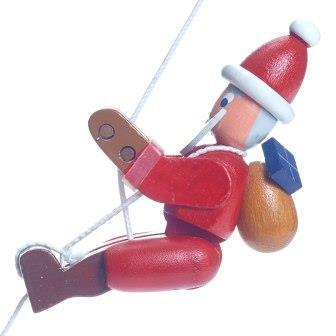 When pulling on the string the Santa actually climbs up it. Kids love these toys because they are different then the other things they play with. This is a very traditional Erzgebirge toy made in Seiffen, Germany.